. كما يقدم Enclosure Bay Small Hotel الكثير من الخدمات لإغناء رحلتك في أوكلاند. يقدم الفندق واي فاي مجاني في جميع الغرف, خدمة التنظيف يوميًا, مرافق مخصصة لذوي الاحتياجات الخاصة, تخزين الأمتعة, واي فاي في المناطق العامة لضمان الراحة القصوى لضيوفه. لقد جهزت هذه الإقامة الفندقية بعناية فائقة لتوفر مستوى عالي من الراحة. في بعض الغرف يجد النزيل تلفزيون بشاشة مسطحة, سجاد, كرسي عالي للأطفال, قهوة فورية مجانية, شاي مجاني. يقدم الفندق مجموعة رائعة من الخدمات كمثل حوض استحمام ساخن, حديقة, رياضات مائية (غير آلية)، لجعل إقامتك تجربة لا تنسى. استمتع بخدمات لا يعلى عليها وعنوان ذو اعتبار في Enclosure Bay Small Hotel . 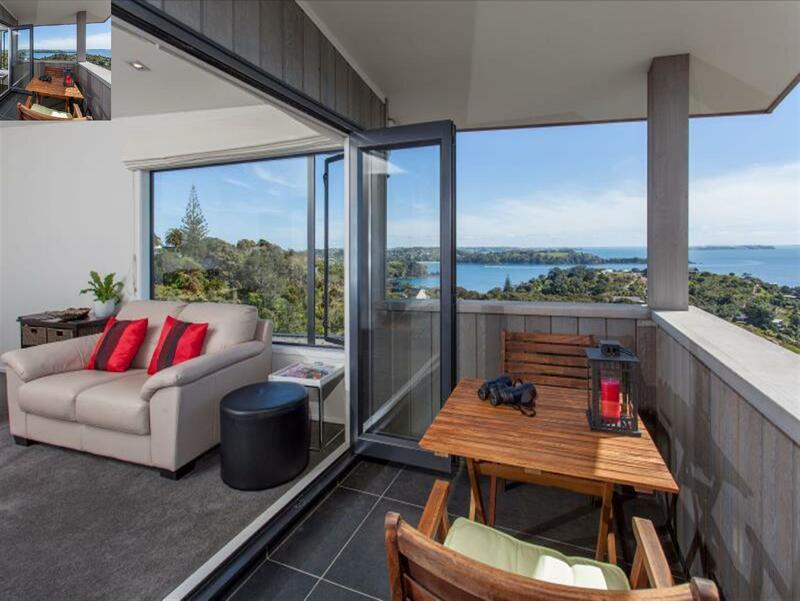 This property is situated only several minutes from the car ferry serving Waiheke. It is comprised of only a few units with the owner/landlord living on the upper floor. The proprietor was very courteous and most helpful in providing directions, recommendations, etc. A superb breakfast was included. The only unit available for our stay was the suite, and it was extremely spacious with great views. Parking was located in front of the building. Our suite was very well maintained and extremely clean. A secluded hot tub for use by all guests is just steps away from the building. We highly recommend this lodging facility. Nice place great views lovely hosts but difficult to get around from this location without vehicle. A lovely property with 3 private suites overlooking the ocean. Stunning views, contemporary furnishings, kitchenette. The owner, Andy was so helpful and nice. 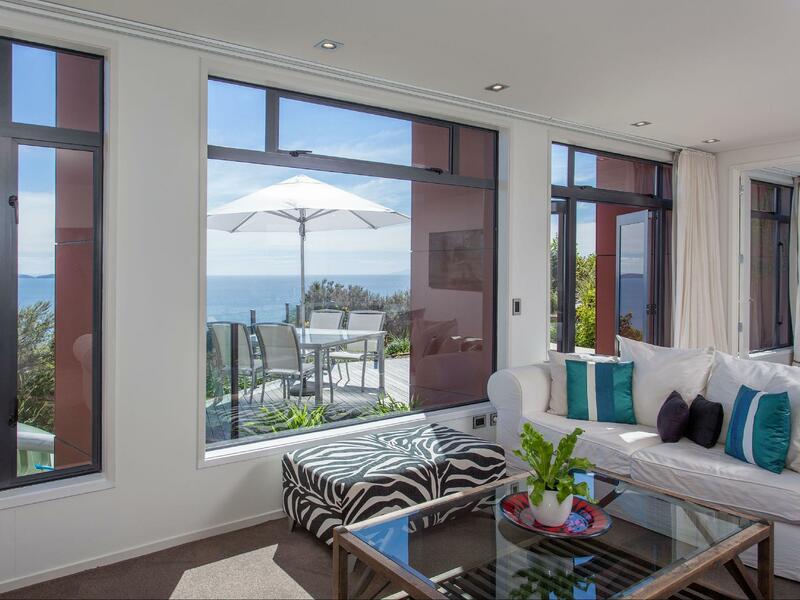 This property is highly recommended, with so much to do on Waiheke Island. Thank you for a wonderful experience. 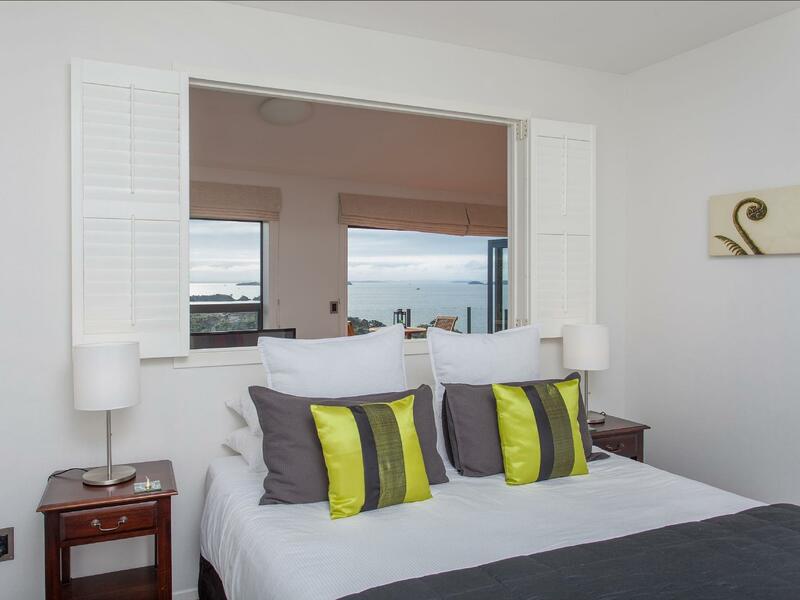 My partner and I had an exceptional couple of days chilling out at Enclosure Bay - rooms very large and comfortable - great views and very attentive service with great daily breakfast - highly recommend if you are heading to Auckland. We stayed here for 2 nights as the tail end of a wonderful honeymoon in NZ. The flat we stayed in was spacious, clean, modern and had everything you would need to have a comfortable stay. There was a selection of DVDs to watch and an "honesty bar" with a great selection of local wines to sample. Jenny and Andy (the owners & hosts) were incredibly welcoming and friendly --- that kind of customer service and warmth goes a really long way! Enclosure Bay has stunning views, like you can't get better views anywhere else. We were able to enjoy the beautiful sunset from our balcony each day. The (free) continental breakfast is filling and delicious...the upgrade (with bacon etc) is also excellent! I can't say much more, this was an amazing place to stay and I'd definitely stay here again next time! Andy was kind enough to give us a few rides into town and to the ferry but it's pretty easy getting around if you order taxis (about $20 from ferry terminal to Enclosure Bay). Hosts, English breakfast (extra), views! The hosts were amazing and accommodating. The bed was super comfortable and the views were amazing! We stayed in the Waiheke Suite and it was terrific! The view, the service and the view! What a place to start married life! We were lucky to have amazing weather for our entire stay and the views are spectacular, from back to Oneroa Bay, Rangitoto and out to Coromandel and Great Barrier Island. The room itself was beautifully furnished and equipped, light and airy and great views from everywhere. Andy was an excellent host and nothing was too much trouble - he was generous enough to spring for a bottle of champagne for us, and we were more than happy to share it with him! He was always attentive without being obtrusive. We certainly hope to be back! Enclosure Bay provided us fantastic room and spectacular views. Also unforgettable helpful hospitality. Thanks Andy! for all of them.